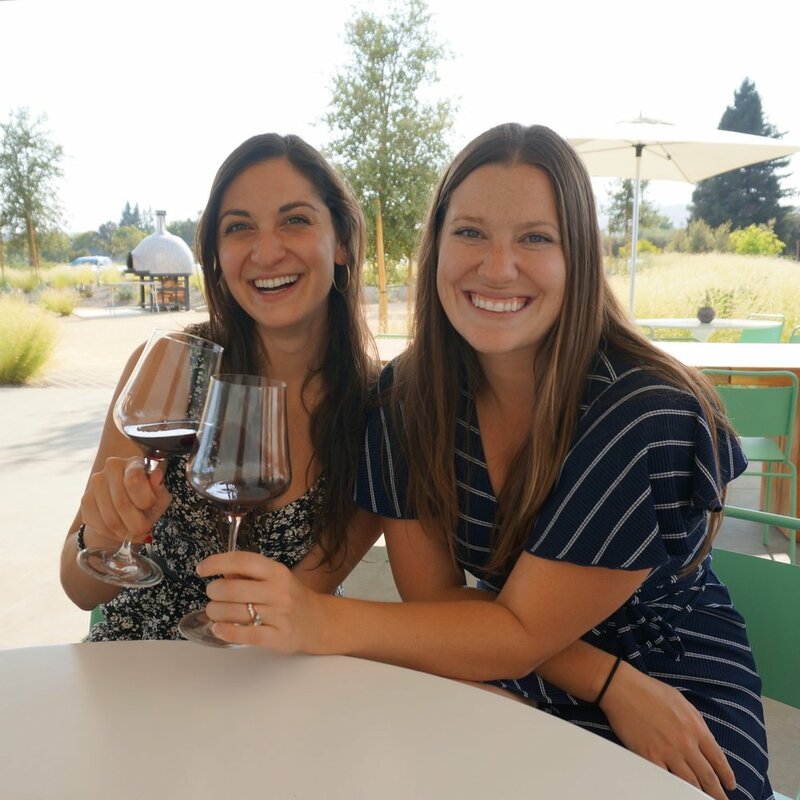 If you're looking for a super fun stop with sweeping vineyard views and sparkling wine, let me introduce you to your new BFF Iron Horse Vineyards! Iron Horse is a little off the beaten path in Sebastopol but is still close to a lot of other stops (use our map below to see others nearby!). You take a scenic drive into the property, and the driveway up the hill is lined with palm trees. When you arrive at the top of the hill, the views of the surrounding vineyards and mountains are just spectacular. There are several spaces to taste, the wooden bar toward the back of the space or the stand-alone bar under a bunch of big umbrellas and more palm trees. Iron Horse offers a Bubbly, Pinot Noir or Chardonnay flight, which means everyone can find something they like. We’re huge fans of all three. Iron Horse feels luxurious without being stiff. The staff are fun to talk to and I swear the sun is always shining at the top of this hill. Iron Horse is a must stop! Hot Tips: Reservations required. All tastings are done standing, so maybe leave the stilettos at home ;) There is a small picnicking gazebo that can be reserved in the back. Bring sunscreen!